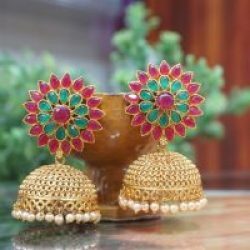 Kundan Earrings – with Pink Tear drop and necklace set necklace set by Reeti Fashions. 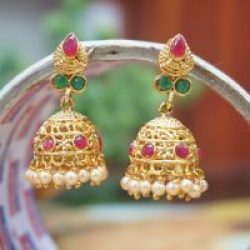 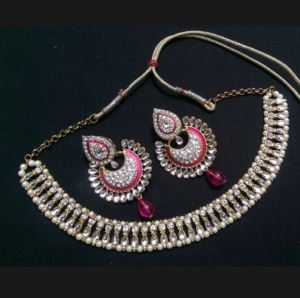 This Alloy based jewelry studded with pearl is perfect for any of your traditional & festive wear. 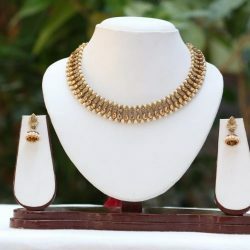 The set completes the look with Traditional wear like – Saree, Chaniya Choli or Salwar Kameez….